Rander is CTI software integrated with Panasonic PBX. (What is CTI?) 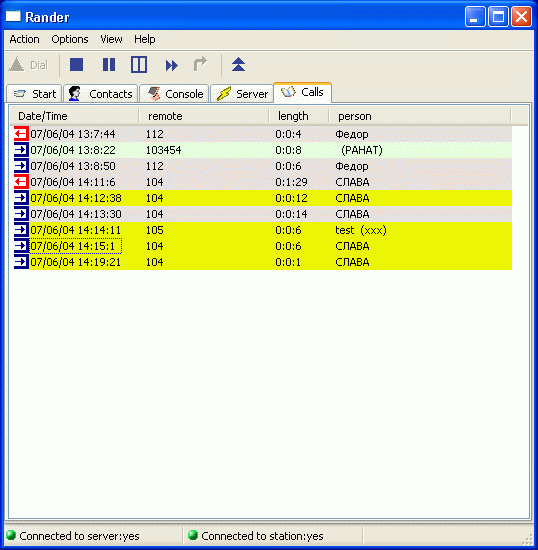 Rander brings together the two main communication tools - the computer and the telephone. 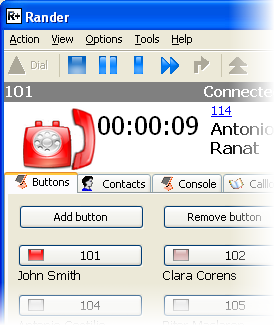 Your company can work far more effectively with Rander as it gives you basic CTI call center functionality. Your employees can handle more calls in the same amount of time and you can provide your customers with even better care. Here are a few examples of how Rander CTI could be used to increase the efficiency of your company. 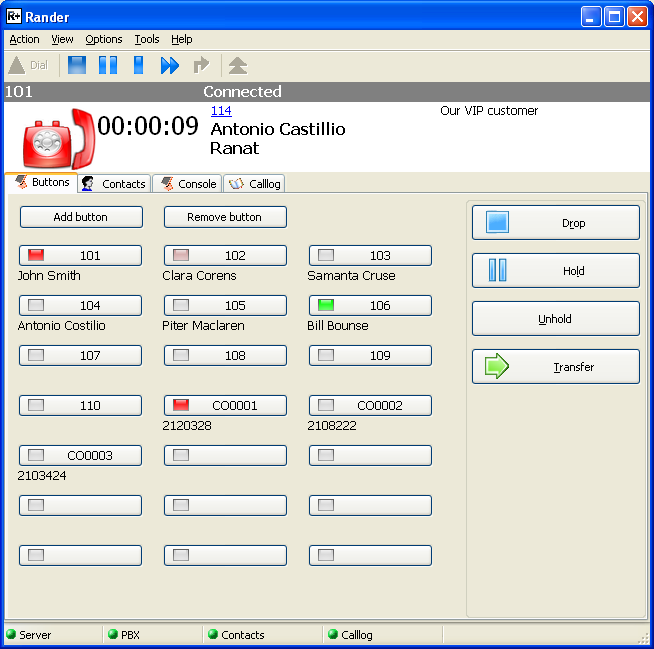 Members of the accounts department could answer customers calls ready with the accounts software showing the customers balance on their screen. 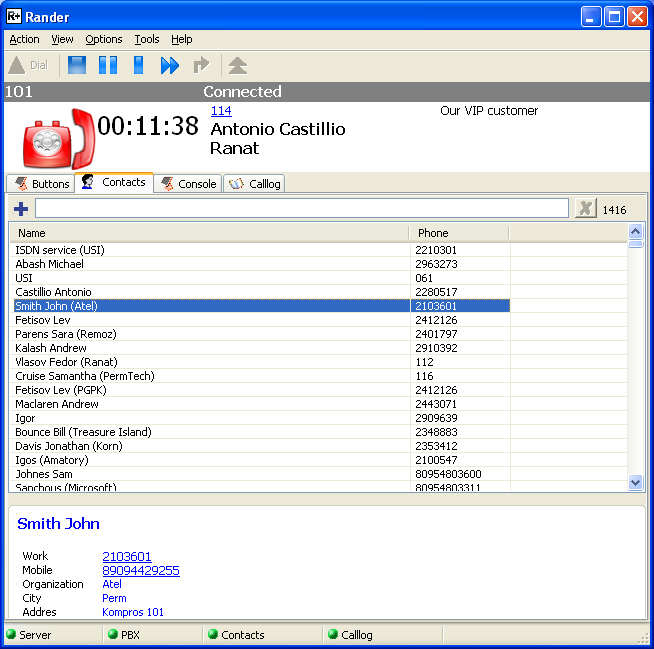 Customer service could respond to enquiries with an Access database open and ready to log a pending request. Your dispatch department would have no need to ask the customer for delivery addresses if it they were already looking at them on their screen at the point of speaking to them. All of these examples are ways of ensuring your company departments run more effectively. Less time searching the database not only means your customers perceptions of you is a professional one, but statistically each call should be processed in a shorter time, allowing for more calls to be dealt with by your teams. With Rander, you can get even more out of your PBX! I find Rander absolutely fantastic! 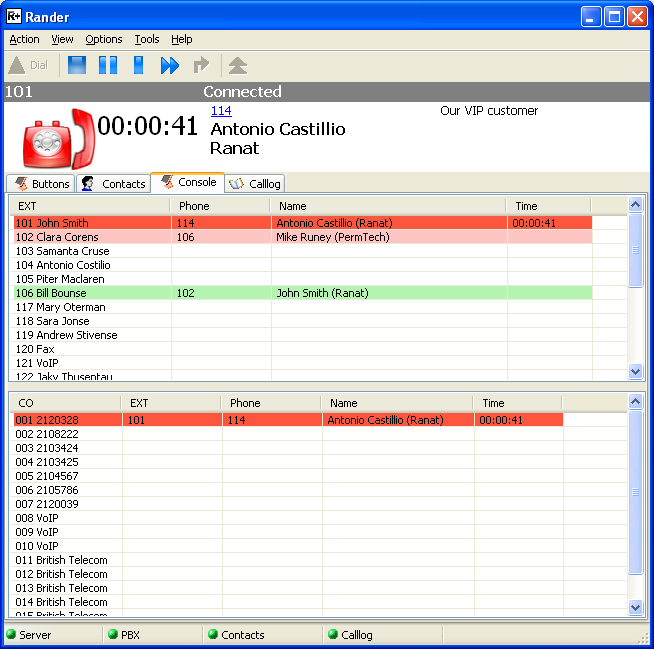 Together with our DDI system It enables us to save on a receptionist. It is stable and reliable and when we required support it is forthcoming. I recommend it to any SME. 10 december 2015 - Rander is compatible with Windows 10. TSP driver Panasonic 4.2.12 is compatible with Windows 10. 22 oсtober 2015 - The new application RanderWEB provides access to Rander server from any WEB application using simple HTML requests or of opening a direct channel protocol SignalR. Published demo HTML page by means of which anyone can use the WEB server access Rander. Details of use are described in the article. 10 september 2014 - Now We sale Rander subscribtion. 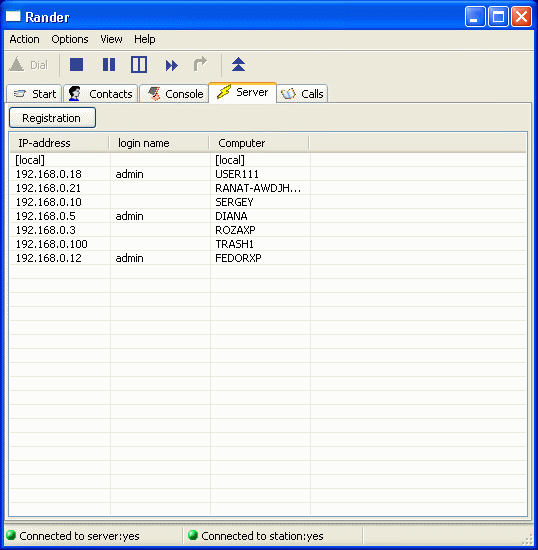 8 august 2014 - Rander 5 was tested with Asterisk. It works! 10 January 2013 - Rander 5 now supported Windows 8 Professional. 7 November 2012 - Rander 5 beta released. Now with SIP-softphone for Panasonic IP-PBX. 10 December 2010 - Now you can buy Rander CTI Software Support Agreement!